iPhone 6/6s users have discovered several battery issues in their devices, such as their iPhone 6/6S battery draining very fast, shutting down while battery is remaining, getting very hot while charging, slow charging and other issues as well. Apple has also accepted this fact last year, that many iPhone 6 and 6s models have been facing such defects in the batteries. But you don’t need to worry at all! Today, we have come up with most common iPhone 6/6s battery problems and a solution to fix them individually. So, let’s start our list. First of all, open your iPhone’s Settings and go the “Battery” tab. Now you will have a list of your apps that are consuming more battery. Consider deleting those battery consuming apps that you don’t use much often. Furthermore, the background app feature can also be disabled by going into the “Settings” > “General” tab > “Background App Refresh”. Toggle this feature off and the apps won’t run in the background anymore. You will surely notice some difference in the battery life post applying this tweak. 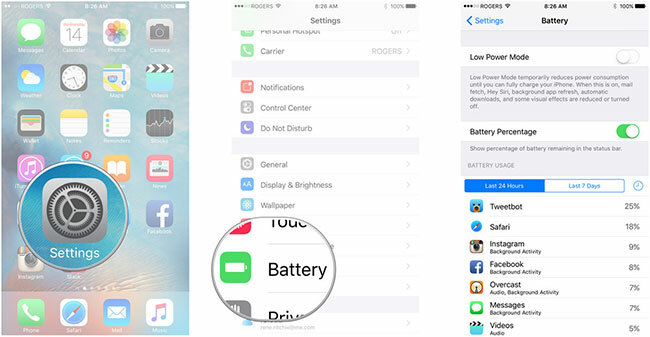 There is one more thing you can do to fix iPhone 6/6s battery problems, i.e. 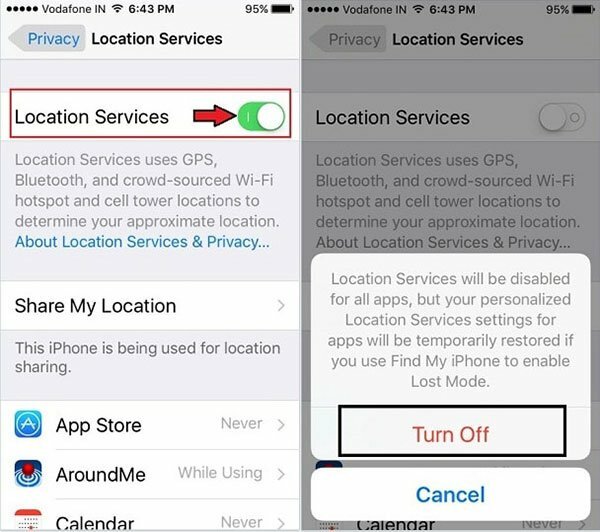 just get into the “Settings” and turn off the “Locations Services” option from the iPhone’s settings. This is yet another common iPhone 6/6s battery problem faced by many iOS users where the battery is still left on your device and it randomly shut down for no reason. The battery meter at top of the iPhone’s screen shows that battery is available, could be any percentage like 20%, 45% or even 80% but all of a sudden iPhone gets shut down without any warning or notification. In such a case, try performing a battery calibration test on your iPhone that will fix this iPhone 6 battery issue most certainly. To perform a battery calibration, first drain all the battery on your iPhone, until it shuts down. Now, connect the charger with your iPhone and let it charge all the way to 100%. Don’t use or turn on the device while doing this. Once it gets charged fully, turn on the device and again let it charge for about 30 minutes more. The calibration process is now complete and it will fix this issue most probably. Also, an outdated firmware might be the reason behind this issue. Try updating your iOS firmware, to do this follow the steps mentioned carefully. Go to “Settings” > “General” > “Software Update” and check if there is a latest firmware update available. 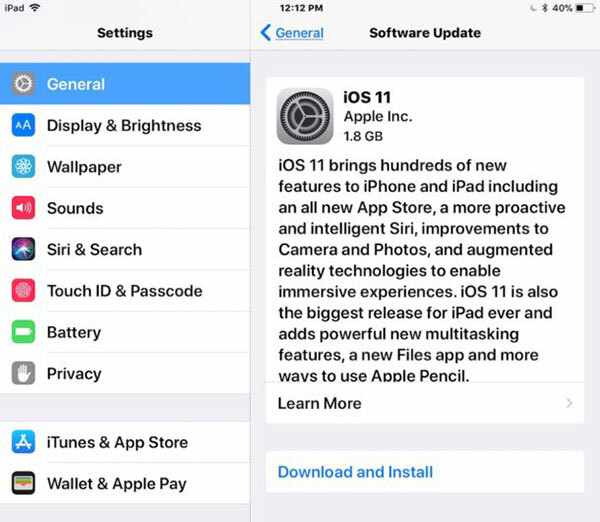 iOS 11 was released for iPhone 6/6s last year and it was supposed to bring many major improvements and bug fixes. However, as it turns out, after the iOS 11 update most of the iPhone 6/6s users are facing various iPhone 6 battery issues. Some even reported that a full charged iPhone 6s is getting drained within an hour. We do understand that it is extremely frustrating, but can be resolved easily using the following tips. The best way to fix this iPhone 6/6s battery problem is to install a stable iOS firmware. Download the latest iOS firmware from the official Apple website and install it in your iPhone using iTunes. Apple has introduced many software updates as well for the iOS 11 to rectify this battery issue. Make sure to check if there is any new update available by going to “Settings” > “General” < “Software Update”. If none of this works, you can try factory reset your iPhone. Go to “Settings” > “General” > “Reset”, and choose the option “Erase all Content and Settings”. Please notice that this will erase all the data and saved settings on your iPhone. 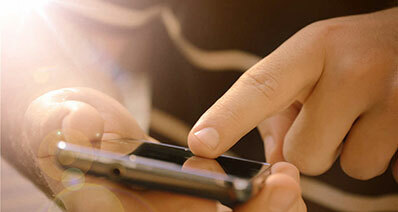 Often, random shutdowns due to overheating or other battery related issues can damage or corrupt your iPhone’s data. But don’t worry! We have got you covered! Introducing, iSkysoft Toolbox - iOS Data Recovery, the most efficient data recovery tool that can easily retrieve your data back under various data loss scenarios. iSkysoft Toolbox - iOS Data Recovery is 100% risk free and a prominent software for iOS devices that allow users to restore their lost data using its smart recovery modes. Handle various data loss scenarios: The program can restore data under various circumstances such as accidental deletion, iOS system crash, virus infection, data corruption etc. 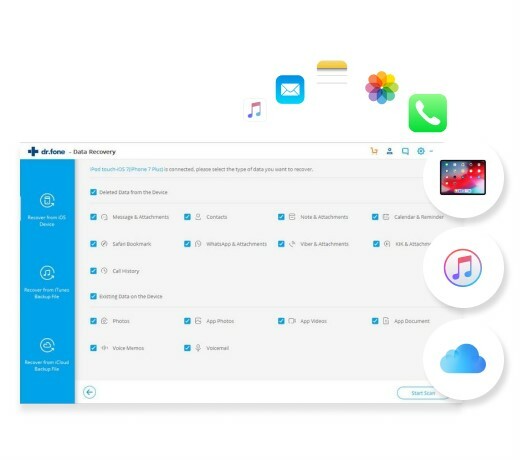 Smart recovery modes: There are three professional recovery modes in this program namely “From iOS Device Directly”, “From iTunes Backup files” and “From iCloud Backup Files” which enables you to recover data from varied sources. Scan and review selectively: You have the flexibility to scan and recover the data completely or selectively. Moreover, the program enables you to preview your recovered data prior to restoring it. Supportability: iSkysoft Toolbox supports more than 20 different file formats for example app data, messages, photos, videos, contacts, call history, etc. Compatibility: This program is fully compatible with almost all iOS devices running on iOS version 7 or above. Fully supports the latest iOS 11 version as well. Moreover, it can run on both Mac and Windows based computers. You plugged your iPhone into the charger and it ain’t charging, right? Well, it is a common iPhone 6/6s battery problem lately, due to its unstable iOS firmware. But don’t worry! You can fix this issue in some minutes using the tips mentioned below. First verify that your Power adapter and the lightning cable are working properly by plugging them with another iPhone. If there is no such issue with the charger, consider performing this little activity mentioned in the next tip. To start, clean your iPhone’s lightning port to remove any dust or debris inside it. Now, connect your iPhone to the charger and make a firm connection between the lightning cable and the power adapter. Let it charge for half hour. 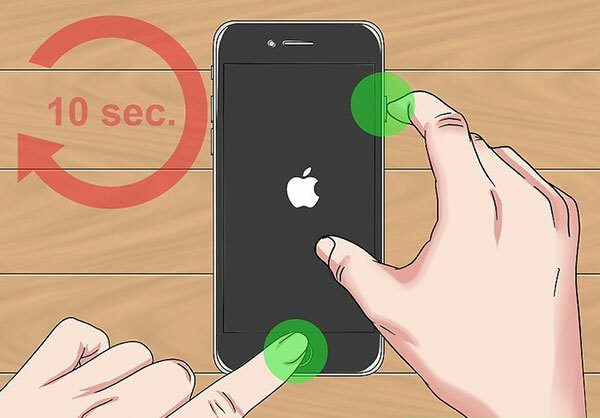 Afterwards, force restart your iPhone 6/6s by pressing and holding the Home and side buttons for about 10 seconds, till the Apple logo comes up. Then, let it charge for another half hour. Perhaps, this should solve your iPhone 6/6s battery problem. If it doesn’t, please check more solutions for iPhone 6/6s won't charge issue here with detailed instruction. iPhone 6/6S can get a little bit warm while charging and its perfectly normal. But some iPhone 6/6s users have reported that an error is showing on the screen i.e. “iPhone needs to cool down before you can use it”. This type of error is only shown on the device when it is getting used abnormally or if there is some problem with the adapter. Follow the below tips and rectify this iPhone 6/6s battery problem instantly. Avoid using your iPhone when it is getting charged. Performing some high processing activities such as Gaming, watching HD videos, using maps, mobile hotspot etc. puts a lot of pressure on the iPhone’s hardware and if it getting charged simultaneously it will get hot naturally. Other than this, always use an official charger provided by Apple. Using a cheap third-party power adapter can mess up your phone’s hardware and can damage the battery as well. Firstly, check your iPhone’s lightning port and look if there is any dust, lint or debris inside it. Try cleaning it with the help of a brush or a toothpick. Also, blow some air inside the port to clean it properly. If it doesn’t fix this issue, try charging your iPhone with a new Apple Certified lightning cable. There might be a problem with your cable or even your adapter could be faulty. Sometimes, iPhone gets extremely hot even if it is on standby and then the iPhone 6/6S battery drains out very fast. You have tried rebooting, updating the firmware and everything else. Still, you are stuck with this iPhone 6/6s battery problem and wondering if you need to replace the battery now. But hold on! There is an easy task you can perform to fix this issue effectively. 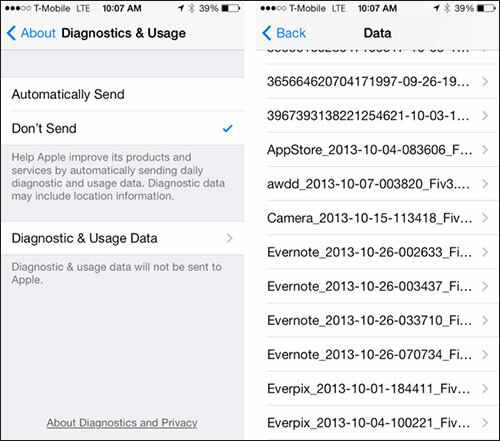 Go to iPhone’s “Settings” > “General” > “About” > “Diagnostics & Usage” > “Diagnostic and Usage Data”. This will show you a complete list of system process activities. Look for a particular process which has an unusually large number of entries. Do a bit of research on this process and identify its function. For example, for the background syncing of iCloud, CalDAV etc. “dataaccessd” process is used. Usually “dataaccessd” has a large number of entries and you can disable its function i.e. “the iCloud syncing” in order to isolate the fast battery draining issue. So, look for a process that has a huge number of entries linking to it and disable the related function for a while.